In the case of Griffin Industries, LLC v. Dixie Southland Corporation, tenant Griffin leased a warehouse space in Davie, Florida, from landlord Dixie Southland for a five-year term, and it was one and a half years into its lease when a dispute ensued. Griffin decided to purchase a property that would suit its needs in Pompano Beach, and three weeks after this acquisition the Town of Davie posted a “Courtesy Correction Notice” directing that it “discontinue pumping water into the street, remove exterior pipe & cap-off” within six days or face potential fines. Griffin e-mailed the notice to Dixie, and in response the landlord removed and capped off the offending pipe in compliance with the municipal notice. It implemented a plan to pump excess water through PVC pipes onto different portions of the property, and the local building department re-inspected the property and closed its file. Griffin continued to inquire with Dixie about its remedy for the drainage, and Dixie enlisted a contractor to design and implement a permanent onsite drainage system. However, this did not seem to satisfy Griffin, and its attorney wrote to Dixie to indicate that he had visited the property and witnessed illegal discharges which were still occurring. As a result, the attorney’s letter indicated that Griffin would be terminating its lease in June 2009, which is when it vacated the property and ceased its monthly payments. Dixie, which subsequently leased the property to another tenant for a three-year term for $4,000 less per month than it had been receiving from Griffin, sued Griffin, which counterclaimed for breach of the lease and also raised several affirmative defenses. The trial court entered judgment in favor of Dixie and awarded damages for unpaid rent and sales tax through June 2010. 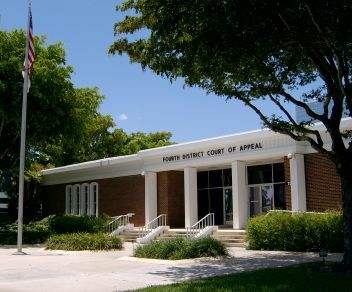 Griffin filed an appeal seeking a reversal of the trial court’s ruling because it contended that it was legally entitled to terminate the lease because Dixie “created and refused to correct unpermitted storm water and drainage systems, that Dixie breached the Lease by failing to ‘keep and maintain in good condition’ the storm water and drainage systems, that Dixie constructively evicted Griffin by failing to correct illegal storm water and drainage systems, and fraudulently induced Griffin to enter into the Lease by falsely representing that ‘the property had all the permits. '” The tenant also contended that, alternatively, the amount of damages awarded should be reduced to reflect rent through an earlier date than that ordered by the trial court pursuant to a clause in the addendum to the lease. “A tenant is not entitled to terminate a lease based on a theory of constructive eviction unless the premises are unsafe, unfit, or unsuitable for occupancy for the purposes for which they were leased [citation omitted]. Other than the events that transpired during the thirty-four days between the issuance of the Courtesy Notice and Griffin’s Termination Letter, the record is devoid of evidence of complaints on the part of Griffin with the storm water drainage system on the Property. There is no evidence of any interference with Griffin’s operations or of any safety, fitness, or suitability issues prior to the issuance of the Courtesy Notice. The appellate court also found that Griffin is liable for the rent plus sales and property taxes and insurance not paid by the new tenant for the remaining term of the lease. The Fourth DCA’s ruling in this case should serve to remind commercial real estate tenants of the strict standards that must be met to justify a lease termination based on a theory of constructive eviction. Our firm’s other real estate attorneys and I write regularly in this blog about important business and legal issues for commercial real estate tenants and landlords, and we encourage Florida real estate industry followers to submit their email address in the subscription box at the top right of the blog in order to automatically receive all of our future articles.